Medivision is a diagnostics chain with centers across Kerala. The brand name was quite well known but it is an industry where distinctions are hard to achieve seeing that most services are common and standardised. The real purpose of diagnostics is Health & self awareness but all that we remember are the problem we discover upon texting.To readjust this perception we decided to remind people that testing is for self awareness and awareness leads to health. The annual Medivision calendar became the perfect tool. 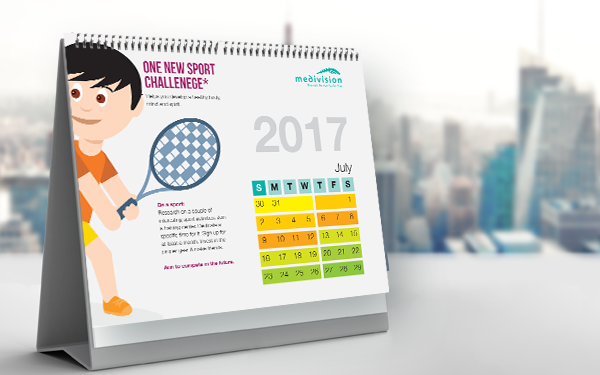 The Medivision calendars were designed to set health goals for the brand audience. 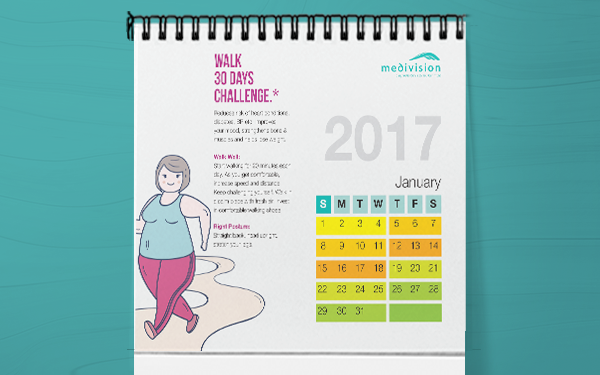 Each month set a new challenge aimed at wholistic health. These challenges acted as a reminder for healthy habits and a path to self awareness. Using hashtags the calendar users updated their tryst with the challenges, eventually building a community that supported each other through the year. We made them sweat and they thanked the brand for it. Medivision shifted from the place they went to discover illness to a brand that truly cared about their health.